Biopics can be a problem. Most peoples’ lives are so complex that it’s hard to boil them down to a sizeable book, let alone a two hour movie. On top of that, you’ve got the pressures of commercial filmmaking, which demand that stories follow certain accepted formats. And you’re also relying on screenwriters, actors and directors, all of whom have their own perspectives or agendas, to present an unvarnished account of somebody’s life. So you can see where problems might arise. Back in the studio era, critics and audiences weren’t as demanding when it came to biopics. In some cases they just accepted the film version as being more or less true, even when there was plenty of evidence to the contrary. And on those occasions where the inaccuracies were really glaring, people would often shrug it off. The attitude was something like, “What do you expect? It’s Hollywood.” Nowadays movies about real people come under much greater scrutiny. Just in the last year extensive debates have played out in the media over the accuracy of films based on or “inspired by” actual events. Writers and directors who even seem to bend the truth can become a target for intense criticism. 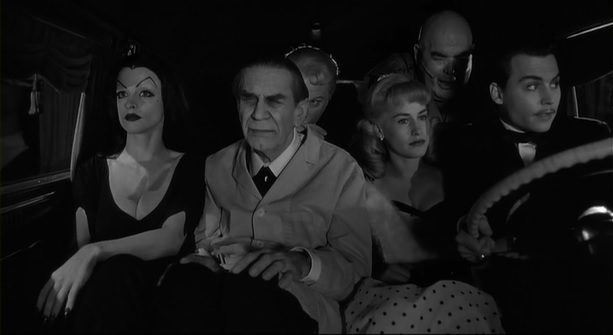 So if we’re talking about Ed Wood, the low-budget filmmaker best known for Plan 9 from Outer Space, how important is it to tell the truth? Wood didn’t play a major part in shaping American history. He didn’t even play a significant role in Hollywood history. His shoestring productions have gained a cult following among those who wander down some of the darker alleys of American pop culture, but I’ve never heard anyone claim he was a major filmmaker. If somebody makes a movie about him that really doesn’t tell the truth, does it even matter? Yeah, I think it does. 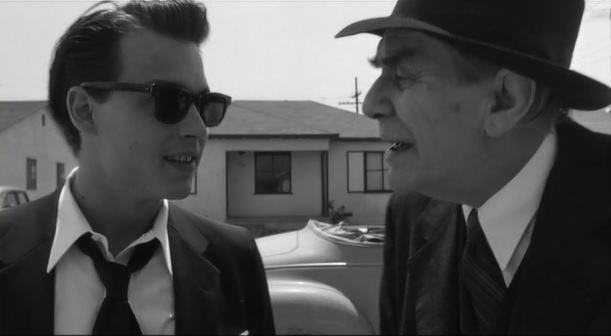 But I still love the movie that Tim Burton made about Ed Wood. It does follow the general outline of the director’s life. Everyone who knew him agrees, Wood was passionate about making movies. Screenwriters Scott Alexander and Larry Karaszewski make Wood an innocent optimist who’s so obsessed with his vision that reality fades into the background. The humor arises out of the distance between his ambitions and his abilities, but the point they make is that it doesn’t matter how talented he was. The important thing is that he knocked himself out to make the best films he could. This is a great premise, and they develop it beautifully. You can see why Tim Burton wanted to shoot the script. Not only does it deal with the low-budget horror films he cherishes, but the hero is a director who’s fighting the system to do things his way. Burton handles this offbeat biopic with impressive style and grace. Production designer Tom Duffield lovingly recreates Hollywood in the mid-fifties, the tacky, tawdry urban wasteland that remained after the ephemeral glamour of the studio era had evaporated. Cinematographer Stefan Czapsky captures the bland cheapness of stucco bungalows and low-budget sets, and still imbues it all with a fairy tale innocence. And composer Howard Shore somehow manages to create a blend of cheesy macabre, pop exotica and sinister soundtrack music that’s tongue in cheek without being condescending. He’s having fun exploring all these genres, but he’s not making fun of them. Johnny Depp is absolutely wonderful in the title role. With a winning combination of charm, tenacity and absurd optimisim, he makes you want to believe in Wood’s madcap visions. It’s a highly stylized performance in a highly stylized film, and Depp pulls it off with incredible elan. He’s helped by an unusually strong supporting cast. Patricia Arquette is completely believable as Kathy Wood, just as innocent as Ed and willing to stand by him to the very end. Bill Murray brings a sense of melancholy resignation to the role of Bunny, the director’s long-suffering friend. Jeffrey Jones plays the Amazing Criswell with marvelous swagger. He’s an unabashed fraud who seems to always be ready for anything. And of course, there’s Martin Landau’s remarkable performance as Bela Lugosi. While the other characters are essentially comic, there’s much more depth in this portrait of the aging horror star. The studios are through with him, he’s hooked on morphine, and he’s desperate enough for work that he’s willing to take a chance on a charming hustler like Wood. This is the emotional center of the movie. Wood may be exploiting Lugosi, but he also reveres him. Lugosi may harbor doubts about Wood’s talent, but he’s genuinely grateful that somebody still shows him some respect. For the most part the movie is gleefully superficial, but the bond between the two men is genuine, and you can feel the love between them. Unfortunately, this is one of the areas where the facts are in question. When the movie was first released, Bela Lugosi’s son went public with a scathing critique, saying the filmmakers had misrepresented his father’s life in numerous ways. We can argue about how important the individual facts are, but Lugosi’s son asked why the filmmakers had never bothered to talk to him. He was practicing law in LA. It would have been easy for them to track him down and give him a call. If they really wanted to respect Lugosi’s memory, couldn’t they have spent a few hours interviewing his son? Beyond that, the film’s portrayal of Wood is an idealized fantasy that only resembles the real man in its general outlines. It keeps us on his side by presenting him as a grown up kid. He may be a hustler, but he’s still innocent at heart. The reality is a lot more complicated, and not so appealing. They don’t show that Wood was a stone alcoholic. They don’t show him joyriding with a bottle in the car. They don’t show him staggering around a set, too wasted to direct anybody. And the supporting characters in Wood’s real life were a lot less wholesome than the amusing band of eccentrics we see in the movie. The real Ed Wood and his buddies were all hanging on to the bottom rung of the Hollywood ladder, and they lived out some pretty twisted scenes. Who knows who made the decision to clean things up. It may be that Alexander and Karaszewski felt they needed to maintain an air of innocence to give the film a fairy tale quality. Or maybe that was Burton’s choice. Or maybe they all wanted to do something grittier, and the studio told them to scrape away the grime to make it more marketable. As much as I love the movie, I wish they’d just invented a fictional character to hang their story on. You may be wondering why it’s such a big deal for me. 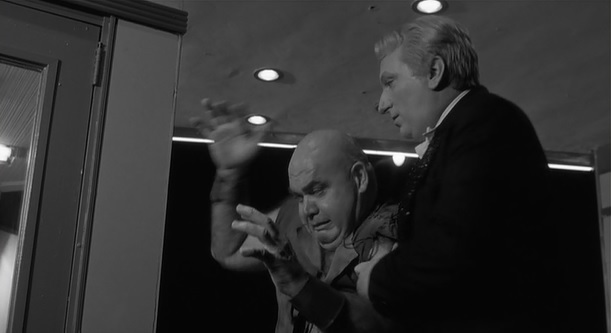 If the world isn’t getting the whole truth about Ed Wood, does it really matter? Again, I think it does. If you care enough about somebody to make a movie about them, you need to really make a movie about them. If not, then stick with fiction. That way you can make up whatever you want. 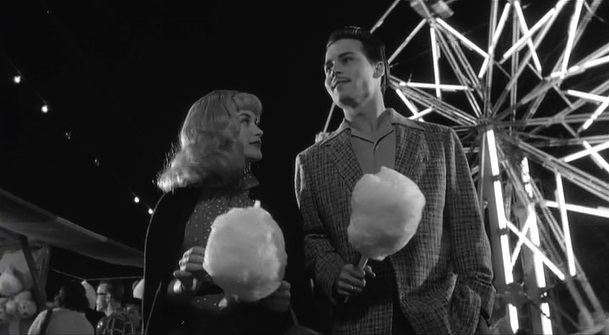 But if Alexander, Karaszewski and Burton don’t tell the literal truth about Ed Wood, the story they do tell is a beautiful parable with an important moral for all those who are struggling to do what they love. I’ve seen the film many times, and I still get emotional during the scene when Wood runs into Orson Welles at Musso & Frank’s. We may think of them as coming from completely different worlds, but Welles immediately understands the difficulties Wood is facing, and utters these immortal words. 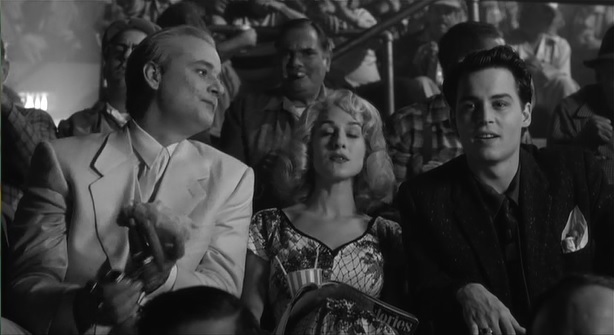 Whatever you may think about the movies he made, Ed Wood fought hard to make them. His trials and tribulations on the fringes of Hollywood led him to some pretty strange places, and I’m sure there are many things he did that he wasn’t proud of. We’re all flawed, and we all get beaten down by reality. But those who struggle to do the things they’re passionate about should never let reality get in their way. If you’re interested in learning more about this absolutely unique man, there are a couple of good resources for further study. First, I highly recommend Nightmare of Ecstasy, an oral biography by Rudolph Grey, which the movie was based on. The author talked to many of Wood’s closest associates, and weaves the interviews together into a mind-boggling account of the director’s life and times. Some of the stories are shocking, and the details of Wood’s last days are terribly depressing, but the book offers a convincing, complex portrait of this man. On top of that, the book paints a fascinating panorama of the world the director lived in. This isn’t the fantasy Hollywood that the media promotes. This is the actual, physical place called Hollywood, where people struggle in poverty for years hoping to some day hit it big. It’s not a pretty picture, but it is true to life. I’d also recommend The Haunted World of Edward D. Wood Jr., an excellent, imaginative documentary. It, too, features interviews with many of Wood’s associates, and doesn’t shy away from his critics. Some people complain that the views are contradictory and don’t offer a clear picture of the director. I think this approach is more compelling, because the filmmakers allow for ambiguity instead of trying to reconcile the contradictions. There were people who loved him and people who hated him, and others who just didn’t know what to make of him. On their way to a premiere.